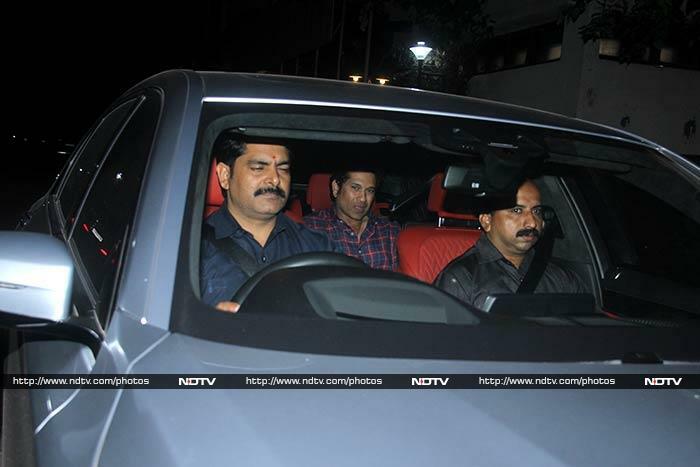 Sachin Tendulkar watched Amitabh Bachchan and Aamir Khan's Thugs Of Hindostan on Thursday evening, on the day of its release. Sachin came with wife Anjali. Aamir Khan's wife Kiran Rao was all smiles for the cameras as she entered Yash Raj Studios to watch the film. Imran Khan, Aamir's nephew, also watched Thugs Of Hindostan. Imran's wife Avantika accompanied him to the screening. Dangal director Nitesh Tiwari was also invited. Filmmaker Ashutosh Gowariker came watched the film with friends. Javed Akhtar arrives for the screening. Politician Raj Thackeray was there too.